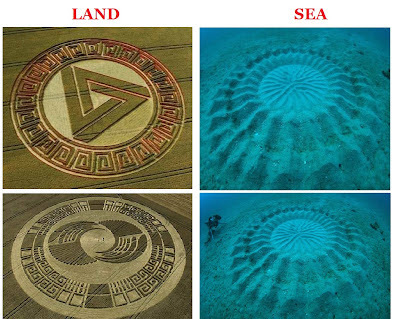 Modern crop circles are a popular thing among UFO enthusiasts. These man-made marvels (yes, man-made) began with the original 1970's hoaxes by Bower and Chorley, and they are surprisingly easy to make. Forget all those messages-from-aliens theories, crop circles are just, well, pranks. There are mysterious circles in the sea too, though they are made from sand and not crops. And the prankster here is not human--underwater circles are the work of the male puffer fish. 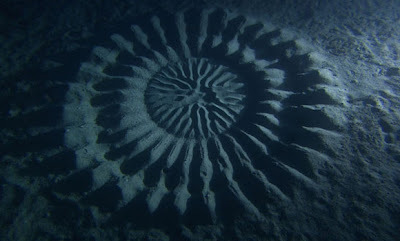 Recently while on a dive near Amami Oshima at the southern tip of Japan, Yoji Ookata, a Japanese photographer and an avid scuba diver, spotted something he had never encountered before: rippling geometric sand patterns nearly two meters in diameter almost 25 meters below sea level. 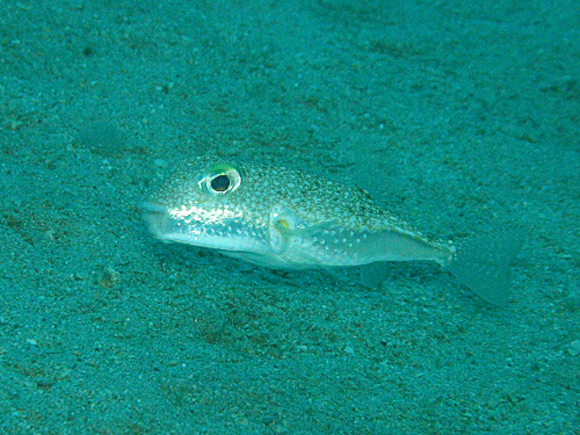 The team discovered that the engineer of the circles is actually a small puffer fish only a few inches in length. The fish swims tirelessly through the day and night to create these vast organic sculptures using the gesture of a single fin. Through careful observation the team found the circles serve a variety of crucial ecological functions, the most important of which is to attract mates. 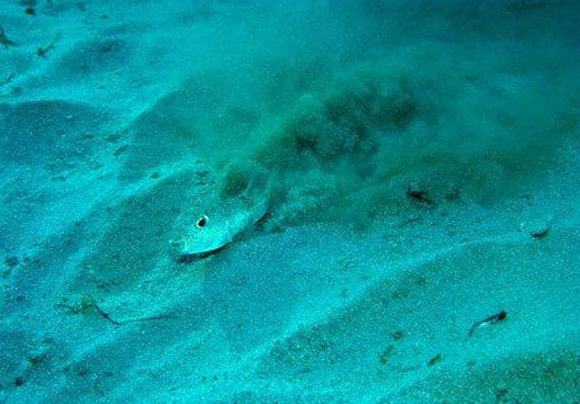 Apparently the female puffer fish is attracted to the hills and valleys within the sand. She will eventually lay eggs at the circle’s center, with the grooves later acts as a natural buffer to ocean currents that protect the delicate offspring. Scientists also learned that the number of ridges contained within the circle is directly proportional to the chances of the male puffer finding a mate. 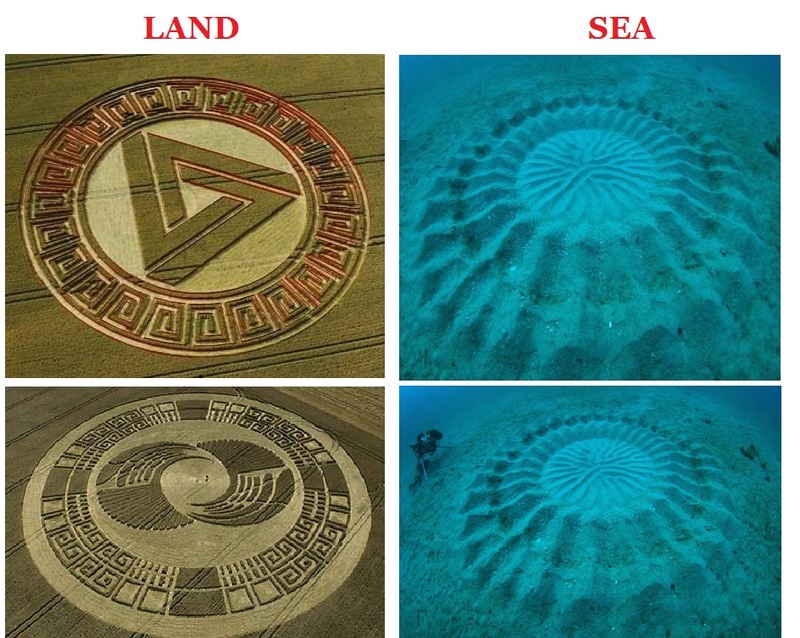 For those of you circle-enthusiasts who are afraid of getting sued by farmers on land, you may consider making your sand circles in the sea.